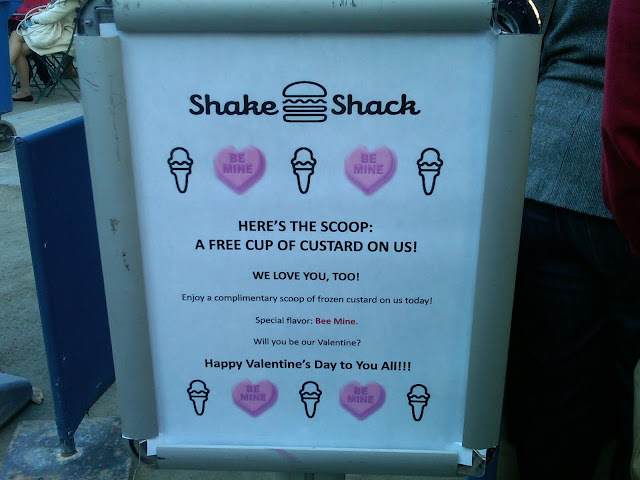 This morning when reading EaterNY, I came across a post announcing Shake Shack's Valentine's Day frozen custard special! I love Shake Shack's frozen custard (along with the 'shroom burger and fries), so I told my co-worker about it and we agreed to go when the line wasn't too long. I periodically checked on the Shack Cam, and at 2:30pm the lunch rush looked like it was finally over. Unfortunately they ran out of the "bee mine" flavor-- strawberry, honey, and rose water (sounds SO good), so the choice was between chocolate and vanilla. Chocolate, of course! 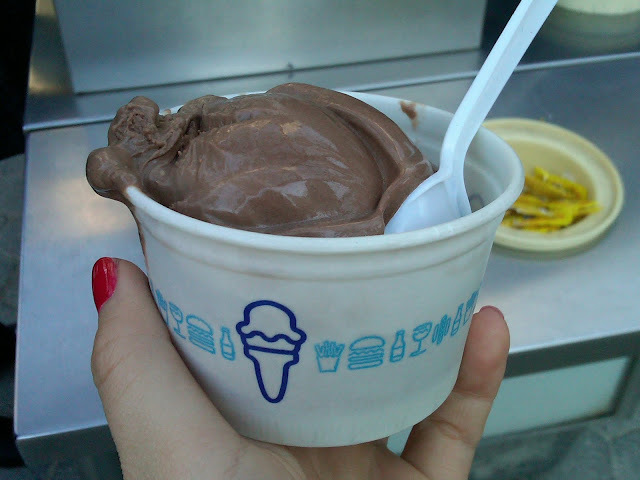 The frozen custard is described on the menu as "what happens when soft serve shacks up with premium ice cream." My custard (valued at $3.25) was creamy, gooey and soo chocolatey. Later in the afternoon I noticed a dark spot on my wrist and thought it was a weird skin condition I'd never noticed. I then realized it was from the chocolate custard! haha apparently I eat like a 5 year old.